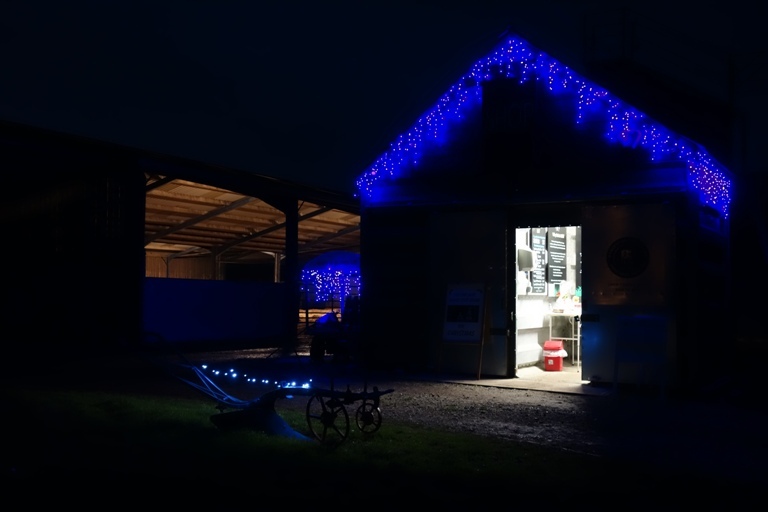 We’d like to say Christmas on the Farm is a day like any other but often we are hit with some extra hassle, like the tractor breaking down, just to make life that little bit more challenging. Hopefully it will all run smoothly this year if all our preparations go well. 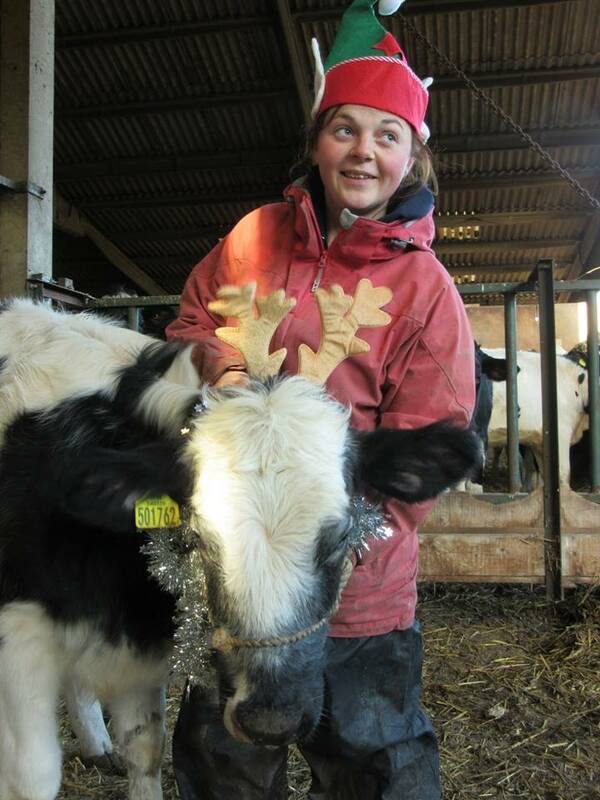 The cows need to be milked twice a day every day of the year, so there is no day off on Christmas day. Just all hands on deck to try and finish a little early so we can have family Christmas dinner in the evening once milking is done and the cows are tucked up for the night. 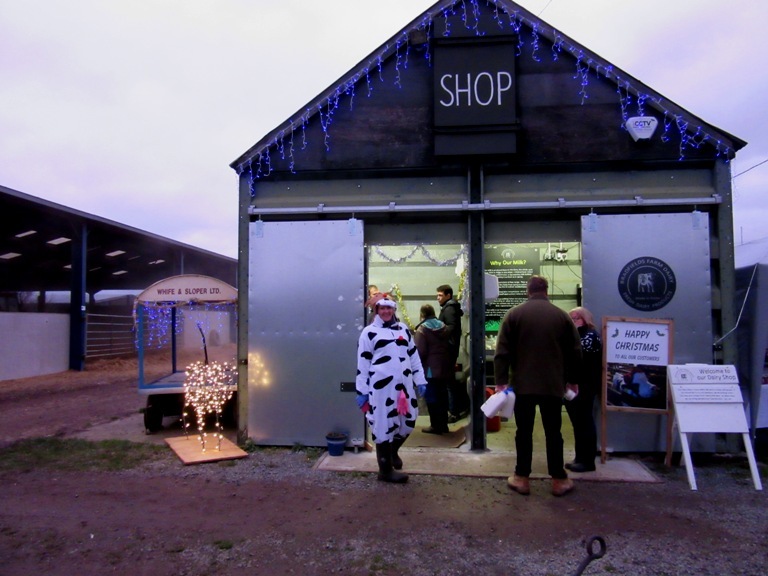 This is the first Christmas for the dairy and we have been open for 9 months now. 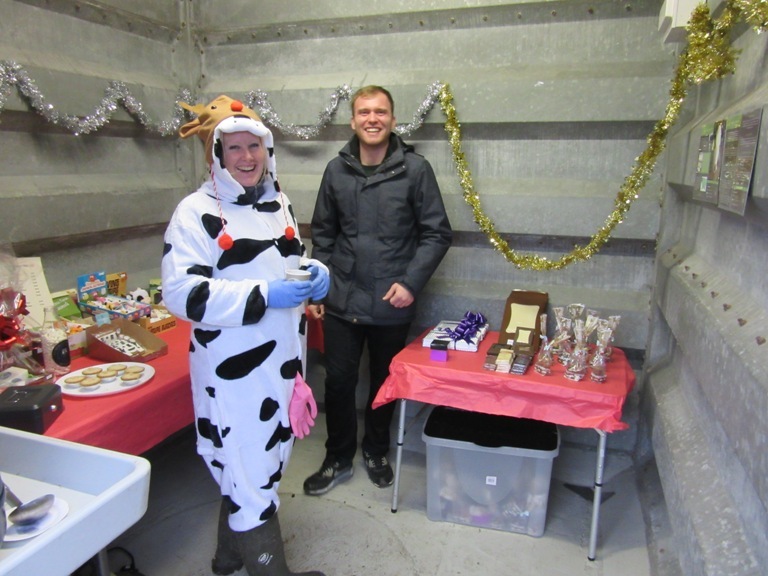 We haven’t been quite sure what to expect but we have decided to keep the vending machine open over the festive period so if you do run out of milk you can pop in. We won’t be pasteurising fresh milk on Christmas Day or New Years Eve, but there will still be plenty of shelf life left on the milk available. 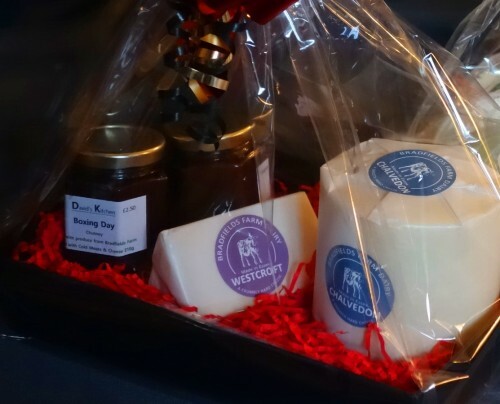 We have had a few requested for cheese gifts so we have prepared a few options for these and invited David’s Kitchen, who makes our chutneys, to join us over the last couple of days before the big day. On the Farm we have been coping with the unexpected snow over the last week. Fortunately no frozen pipes in the milking parlour and the girls are glad to be inside. 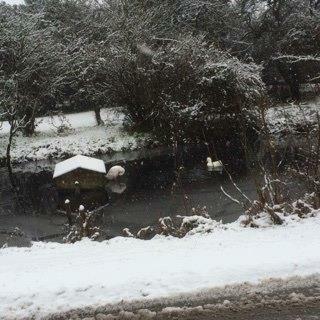 The ducks are still swimming on the pond and they aren’t our only animals camouflaged for once. 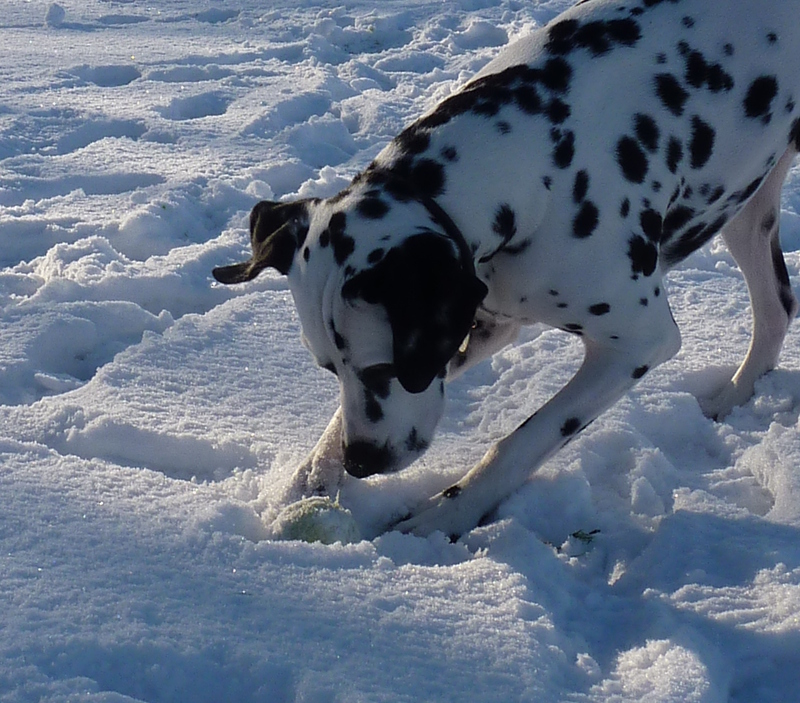 Our psycho spotty boy also loves the snow. The weather has made us realise that a lot of the shops we deliver to are up hills. Mooberry, our van copied surprisingly well with these but she couldn’t get through broken down cars blocking the roads on Sunday morning, despite trying four routes north from the Farm. 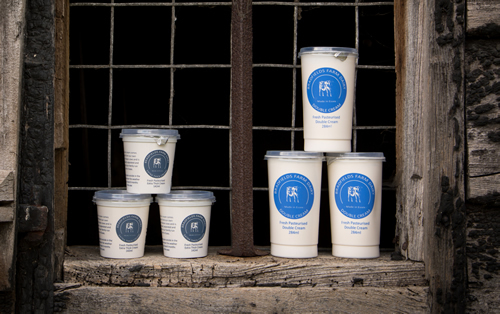 We did manage to get all our milk deliveries out to the shops, all be it a little later in the day than normal. This week we are finishing off our preparations. Final batches of cheese are being made and the Old Barn Smokery is smoking some cheese for us and for them. 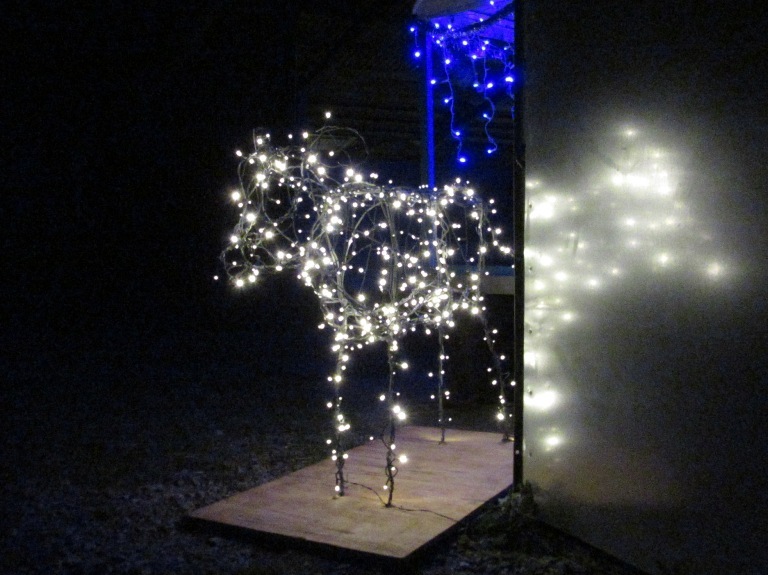 We are planning to get the shop a little more in the Christmas spirit with some lights. Originally that was Sunday’s job, but none of us fancied going up the ladder in the snow. Just a few days left to order cream and cheese if you want any for Christmas. They will only be a small number of pots made unordered so if you do want some we strongly recommend letting us know by Sunday 17th.